Perennial flowers are plants that grow and bloom in the spring and summer then die back in the fall and winter. The plant returns the following spring by re-sprouting from its roots that survive underground. These are herbaceous plants rather than woody perennials, such as trees and shrubs, whose above ground growth stops over the winter then resumes in the spring. Annual flowers are different flower types in that they only live for one growing season. Perennials are a wonderful addition to your yard because they require very little upkeep and maintenance once established. Because their roots are so widespread they don’t require as much water and fertilizer as annuals. They also spread to fill out garden spaces and flower beds. Some perennials bloom only a short time, but many can be encouraged to produce flowers all summer for long-lasting color. Deadhead, or remove, flowers once they have died to encourage the plant to produce more summer flowers. Before you start picking out flowers it is important to know what agriculture hardiness zone you live in. This map is the standard used by gardeners and growers to determine is a plant will thrive and grow in a particular area. Some plants many not survive the winter in the north part of the country, for example. What are the best perennial flowers for full shade? Plants that grow best in full shade need less than 3 hours of direct sunlight per day. It is best to avoid the sun in the middle of the day because it is the hottest and most direct and may scorch the plants. Morning sun is the best. The rest of the day should be filtered, bright light. Columbine is a domesticated wildflower featuring a star-shaped flowers with lobes and long spurs. Available in many colors this flower begins blooming in the spring and blooms throughout the summer. Hummingbirds love the flowers which also look great in a bouquet. Columbine is deer and rabbit resistant. It grows to about 12 to 18 inches in height and grow best in partial to full shade in zones 4 to 8. Plant new plants in the spring when all danger of frost is past in well-draining soil. Water new plants when the top inch of soil is dry. Once the plant begins blooming you do not need remove the dead flowers as the spent blooms will help self-sow new plants. 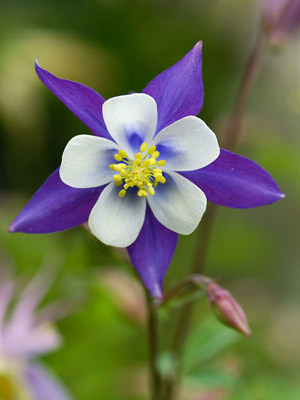 As a result columbine spreads; plant it in an area so it has room to grow. Astilbe plants are a wonderful addition to any shady flower bed. They produce long stem of tiny red flowers clustered on long, arching branches up to 30 inches in height. The lovely red flower clusters look great in the flower bed or in a vase. Plant astilbe in well-draining moist, soil in a shady spot in the spring after all danger of frost has past. 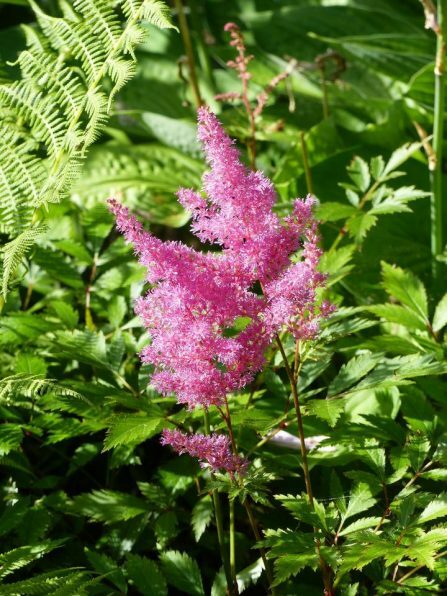 Astilbe can tolerate full sun, but only if the soil remains moist. Otherwise, water when the top inch of soil is dry. It grows best in zones 4 to 9 and blooms in early to mid-summer with some varieties blooming continuously over the summer. Astilbe will spread and should be divided every 4 to 5 years to prevent it from being overcrowded. Hostas are the quintessential perennial for a shade garden known for its dome shape of multiple leaves that can be green or variegated with white or yellow. During the summer tall stems sprout from the center of the plant with small purple flowers. Because the foliage is so beautiful you may remove the flower stalks as they grow. If you wish to allow the flowers to grow cut back the stalks after the flowers fade. They hardy from zones 3 down to 9 and grow best in full shade. Plant in well-draining soil that remains moist. Hostas are drought resistant meaning they can tolerate periods of little precipitation. They can reach up to 15 inches in height and spread to about 2 feet per plant. Divide the plant every 3 to 5 years to prevent overcrowding. 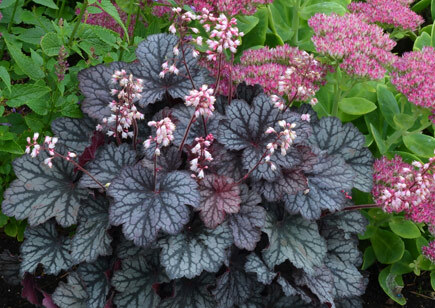 Heuchera is a shade-loving ground cover that is resistant to deer and rabbits. The foliage of the plant comes in a variety of colors from yellow to black, as well as variegated, and adds interest to shade beds. The plant produces flower spikes of small flowers in the shape of bells that begin popping up in the early spring. Some varieties will flower until the end of summer. Deadhead the flowers as they fade to encourage the plant to produce more. Heuchera grows best in full shade in zones 4 to 9. It can get up to 10 inches in height and spreads up to 20 inches. Plant in well-draining soil and water often. The top inch of soil should remain damp. What flower types are best for full sun? Perenial flowers that thrive in full sun mean they need at least 6 hours of direct sun per day. This is the minimum. 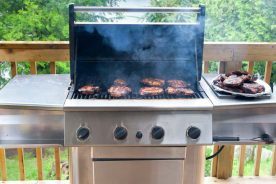 Some plants, such as vegetables, require up to 10 hours a day. The intensity of sun varies throughout the day with the strongest being in the afternoon. Sun exposure doesn’t have to be all at once. A location might receive 3 or 4 hours of sun in the morning with a break in the middle of the day followed by more sun in the evening. Partial shade in the middle of the day is ideal for many plants so they can avoid scorching. 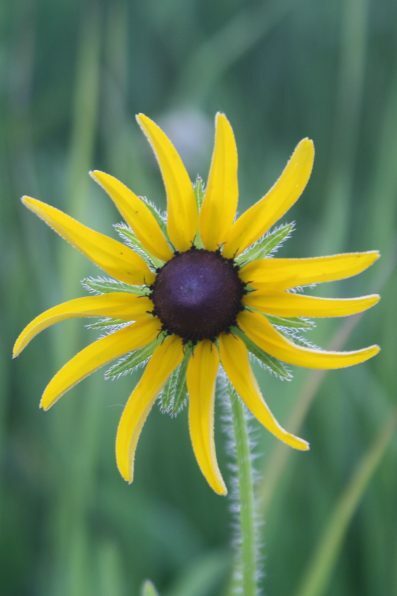 The Black-eyed Susan is a wildflower native to prairies and will grow in zones 4 to 9. It feature large blooms with long yellow petals with a black or brown center, similar in appearance to a daisy. They grow on sturdy stems that can reach up to 3 feet in height and are a great flower for cut bouquets or vases. The plant begins flowering in the middle of summer and will continue until the first frost. Remove spent flowers to encourage the plant to continue blooming. Plant in the spring when the all danger of frost has passed in well-draining soil. They spread quickly so be sure plant in a space that allows it. They are drought resistant as well as deer resistant and are attractive to birds as they love the seeds. 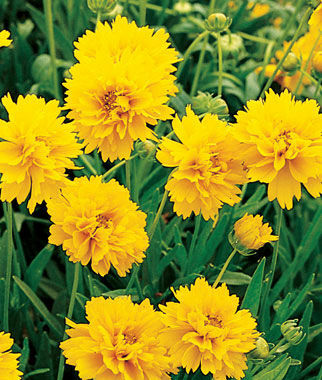 Also called tickseed or pot of gold, coreopsis is an easy-to-grow plant with blooms that come in a variety of colors. It is a wildflower that can be grown in zones 4 through 9 and attracts a variety of wildlife such as bees, hummingbirds, butterflies, and birds. Coreopsis can be grown from seeds or transplants and grows well in average soil so don’t worry about amending it. Seeds need light to germinate so be sure they are only lightly colored. Plants will begin blooming in the middle of summer and will continue to bloom until fall. Coreopsis are drought tolerate and can survive on minimal watering. Divide the plant in the spring or fall to create more plants. 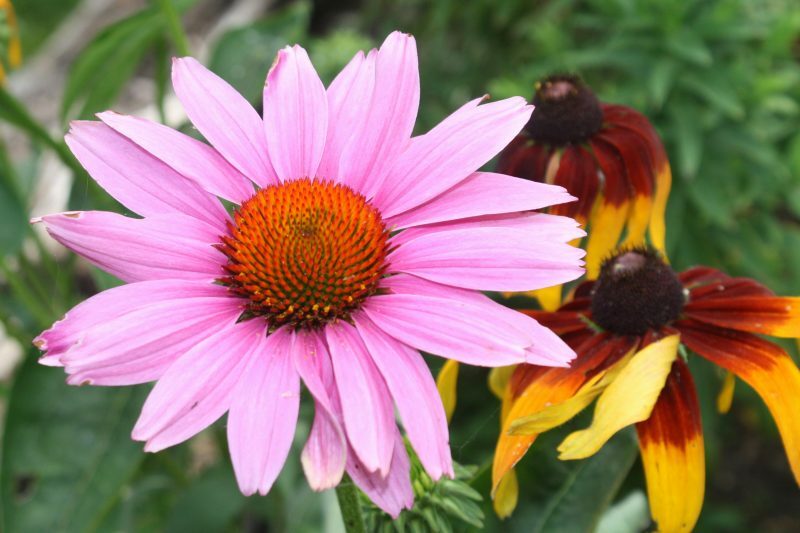 The purple coneflower is a prairie wildflower native to the United States and grows in zones 3 to 9. The flowers grow on tall, sturdy stems and have purple petals with a brown or red center. Some flowers can grow as wide as six inches. Plants can grow up to 3 feet in height and will spread to about 18 inches. They are a very hardy flower and are resistant to heat, cold, drought, rabbits, and deer. The plant begins flowering in the middle of summer and will continue throughout the fall. Deadhead the flowers to encourage more blooms, but leave the spent flowers on in the fall to attract song birds which love to eat the seeds. Butterflies, hummingbirds, and bees are also known to visit the plant. Plant new plants in the spring after your last frost. Seed should be sowed in the summer about 12 weeks before the ground freezes. Divide established plants every 3-4 years in the spring or fall to prevent overcrowding and to start new plants. The gaura plant is a wildflower that has been domesticated. It is also known as bee blossom or whirling butterflies because the blossoms look like butterflies dancing in the wind. The gaura is a tap-rooted plant meaning it has one large root (the tap root) that grows straight down tapering at the end like a carrot. Smaller rootlets grow off this center root. Because of the taproot it is not easy to move the gaura plant once it is established. It also makes it very drought tolerant. When planting pick a location where the plant will stay. 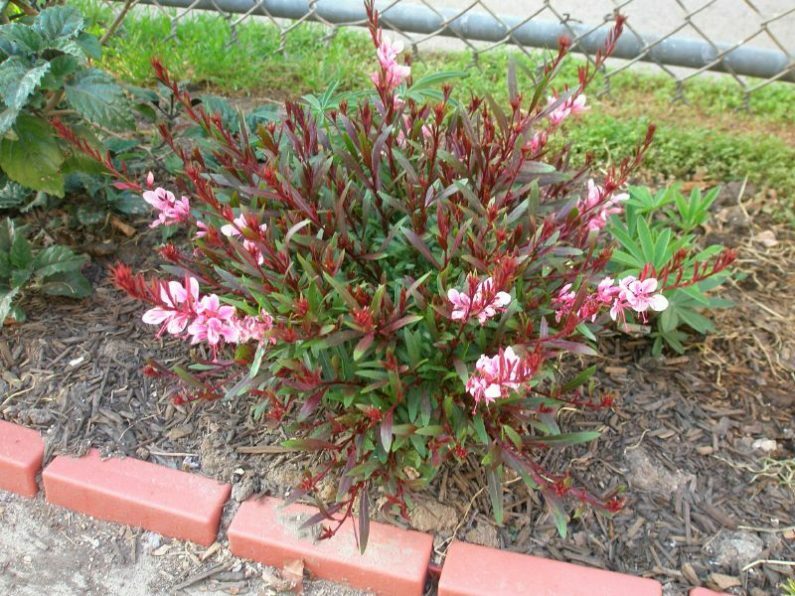 Gaura grows best in zones 6 through 9 and begin blooming in summer and continue until fall. Remove spent flowers to encourage the plant to grow more. The plant may self-seed, or start new plants, if blossoms are left on the plant. Plants grow up to 24 inches in height and can spread to 18 inches. Also known as yarrow, achilea is a wildflower that features flowers heads made of numerous tightly-packed flowers and fern-like leaves. It comes in a variety of colors such as yellow, white and pink and grows in zones 5 to 8. They are easy to care for and develop very long roots making them drought tolerant. They are also deer resistant. Flowers are grown on sturdy stalks making them a good option for vases or bouquets. They begin blooming in the spring and will continue through the summer. Be sure to deadhead spent flowers to encourage more to grow. Plant new plants in the spring after the danger of frost has passed or in the fall no later than 12 weeks before the ground freezes. Yarrow will grow and spread easily can benefit from being divided every 2 to 3 years in the spring or fall. Plants grow to about 2 feet in height. The gaillardia flower is also known as the blanket flower due to its resemblance to the brightly patterned Native American blankets of the same name. The large blossoms are daisy-like and most varieties feature yellow, orange, or red in the center tipped with a ring of yellow. The ends of the petals have a ruffled appearance. 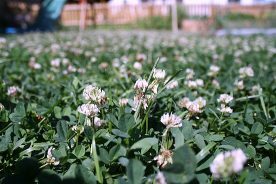 The plants grow in low mounds with the flower stalks reaching up to 12 inches in height. They begin blooming in the summer and will continue to bloom until the fall. 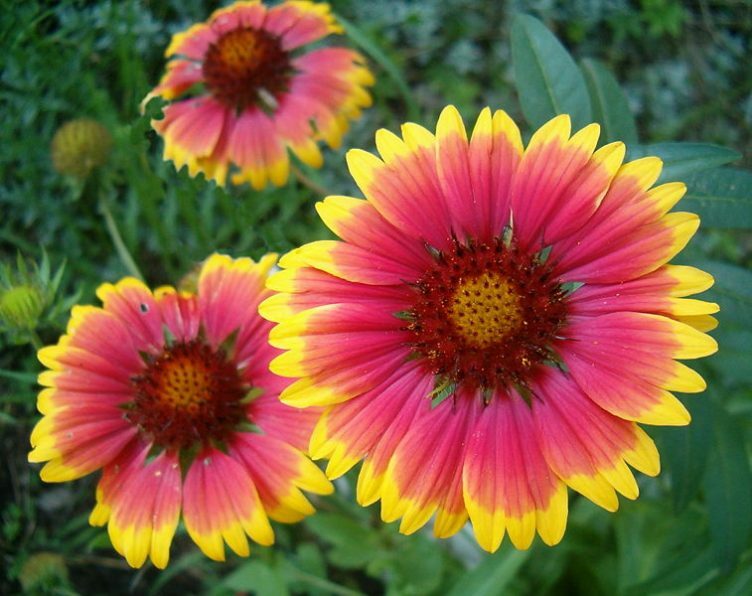 Gaillardia grows best in zones 3 through 10 and loves the hot, dry sun. It grows best in poor soil and new plants are best started by dividing established ones. Divide the plant every 2 to 3 years to prevent overcrowding. Gaillardia is an excellent plant for butterfly gardens; it will also attract bees and other pollinators. They are deer resistant and dead flower heads will attract birds in the fall. The Knock Out rose is a low-maintenance rose that will grow in zones 4 through 11. 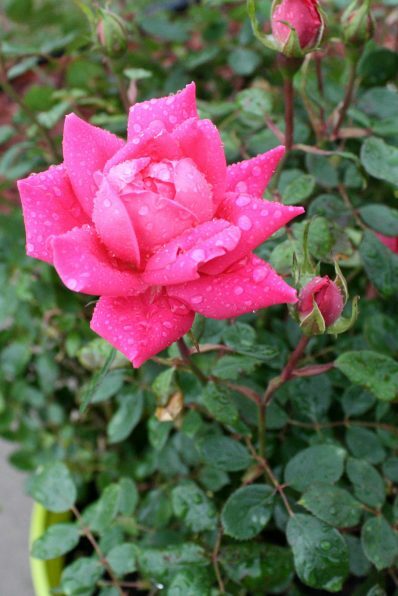 Unlike other rose varieties it is drought tolerant, disease resistant, and need minimal pruning. They come in seven different colors and begin blooming in the spring and will continue until the first frost. Knock out roses do not need to be deadheaded to encourage new blossoms, however, occasionally removing dead flowers will help the plant grow. Prune the bush in the spring by removing any dead or broken canes. Pruning can also be done to help shape the plant. Knock Out roses grow up to 4 feet in height. The 4-inch flowers of the hollyhock begin growing at the base of the wand-like stem and continue up the stalk so that 1 to 2 feet of the stem is covered in flowers throughout the season. These stems can grow as tall as 9 feet. They grow in zones 3 to 8 and can be very long-lived if the stalks are cut back at the end of the season after the flowers have faded. The tall stalks look great along a fence or to be used a privacy screen. The flowers begin blooming in the summer and will continue until the fall. 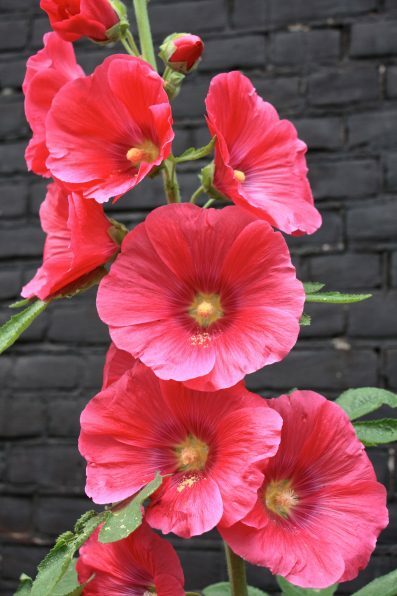 Plant hollyhock seeds in the fall or spring when the soil can be worked spacing to 18 inches. They can grow in moist soil as long as it drains well. Water the base of the plant, not the leaves to prevent disease. What flowers are best for partial sun? The requirement of partial sun for plants generally means the plant needs 3 to 6 hours of sun per day. This can be a bit ambiguous and varies a lot based on the plant. They can mostly be divided into those that need partial sun and partial shade. 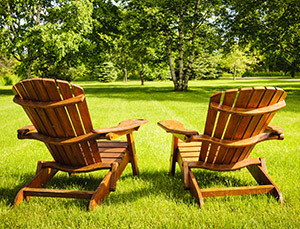 Plants that are labeled partial sun generally need more sun than shade, between 4 and 6 hours. They are not able to be in the sun all day and do need some shade during the day. Plants that are labeled partial shade need more shade than sun and should receive 4 hours or less of sun. These plant should be protected from the hot afternoon sun and may need filtered or dappled sun. Clematis is a vining flower that grows in zones 4 through 8. Blossoms grow to about 5 inches in diameter with 6 or seven petals. Some varieties have smaller flowers, double blossoms, or different shaped blooms like a bell in a variety of colors. Clematis prefers full sun, but will tolerate morning sun. Some varieties are vigorous growers and can grow up to 20 feet in height. Compact varieties can be grown on a deck or in a planter. Before selecting the variety be sure you have the space to let it grow. 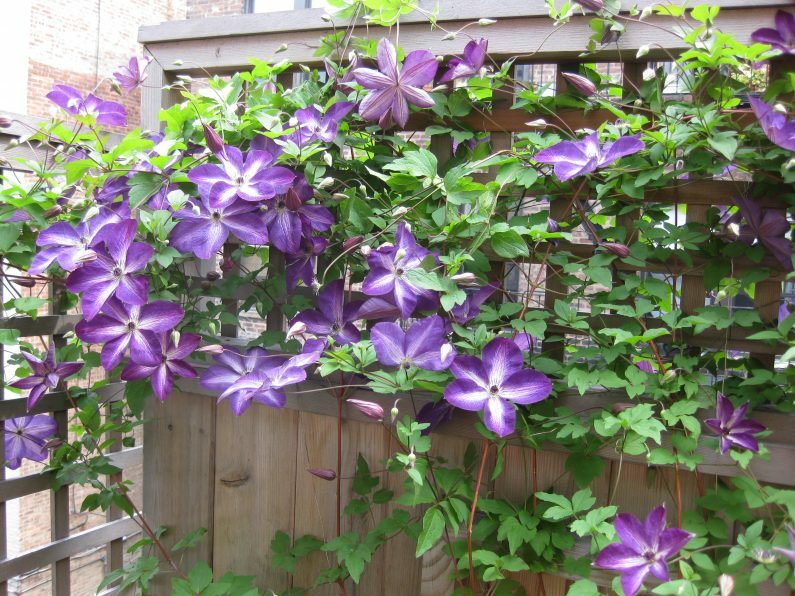 It can take several years before a clematis blooms consistently. Look for a plant that is at least two years shorten the amount of time before blooms appear. Clematis needs to be supported as it grows. Use a trellis, fence, or twine to help it. Prune clematis vines in mid-spring by removing dead vines. Clematis is resistant to deer and rabbits. Phlox is a domesticated wildflower featuring small, star-shaped flowers. There are several different types of phlox all are easy to grow and low maintenance. They are extremely fragrant and bloom in summer and fall. Low-growing or creeping phlox is an excellent ground cover and grows in full or partial sun. Taller varieties, or border phlox, can reach up to 3 feet in height and also grow in full or partial sun. Low, mounding phlox needs full sun. Creeping phlox only blooms in the spring, but border phlox will bloom in the summer and fall. Deadhead the flowers to encourage new growth. 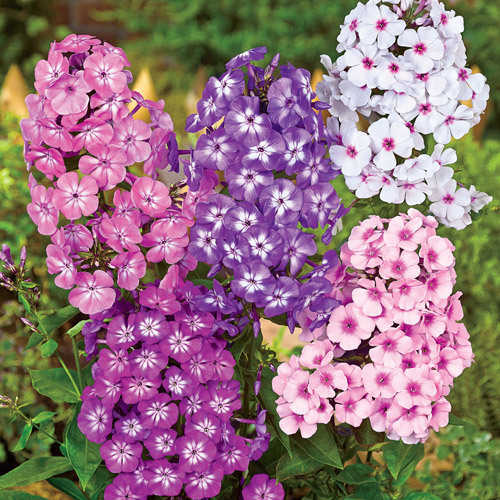 Phlox can be grown in zones 4 through 9. Propagate by dividing the plant every 2 to 3 years. Butterfly weed is not only a beautiful flower, but a favorite for pollinators, specifically the Monarch butterfly. It is a prolific bloomer from early summer to early fall and grows in zones 3 to 10. 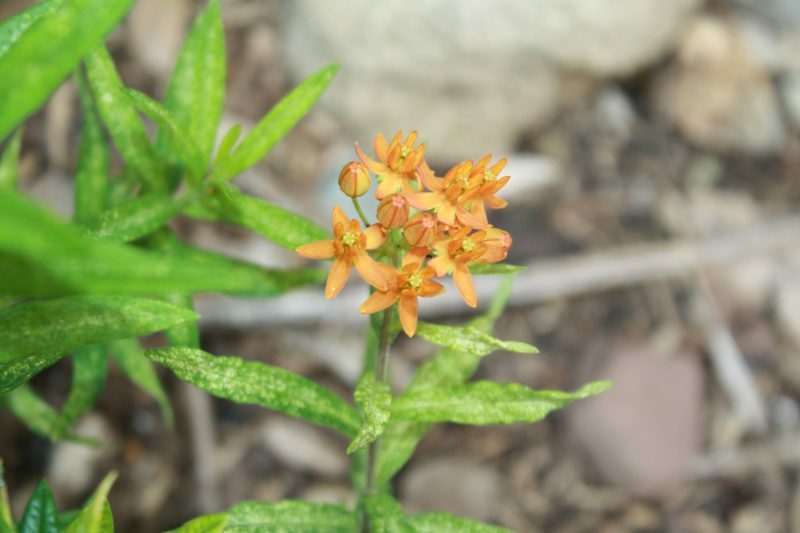 This prairie native is also known as milkweed and features bright orange clusters of small star-shaped flowers. It can grow up to 3 feet in height and spreads quite well. It grows deep roots and as a result is drought tolerant. It is also resistant to deer. Allow the plant to develop seed pods and let it reseed itself. It grows a taproot so it will not divide well. The Shasta daisy is a hardy perennial that provides cheerful blooms all summer long in zones 5 through 9. The flowers are about 2-3 inches in diameter with a yellow center and long petals. They cover the entire plant from mid spring to the end of summer. They can grow up to 2 feet in height; the sturdy stems are great to use as cut flowers for bouquets or vases. 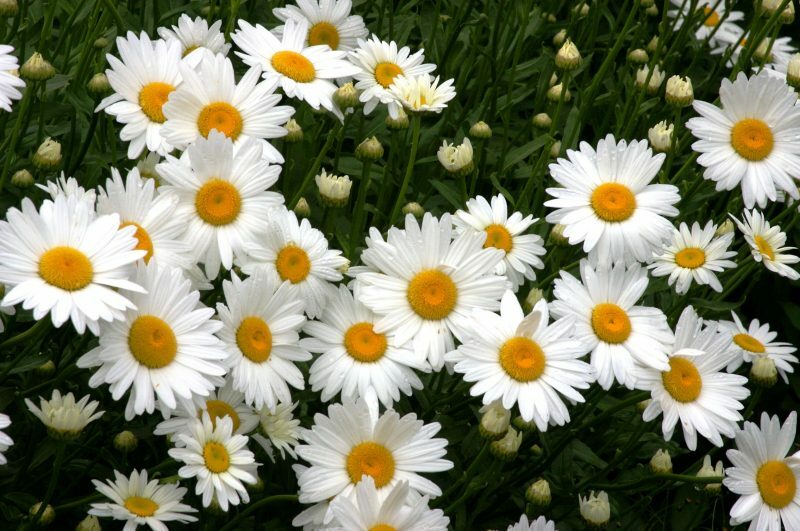 Plant your Shasta daisy in an area that receives light shade; the daisy will not do well in full sun. The soil should drain well as the plant will not tolerate soggy roots. 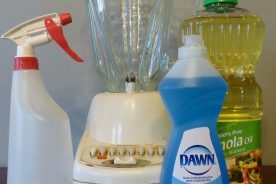 Remove spent flowers to encourage new blooms to grow and cut the foliage back to the ground at the end of summer when the plant is finished blooming. Shasta daisy is not a long-living perennial; it only returns for a few years. Stagger the yearly planting of new plants to enjoy the flowers longer.